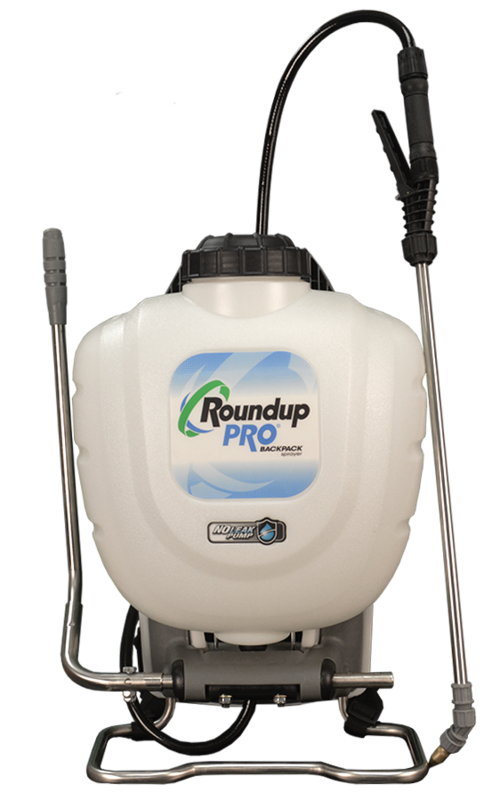 The Roundup Pro® 190413 Backpack Sprayers does the work of a piston or diaphragm backpack sprayer. The exclusive internal No Leak Pump keeps your back and clothing dry. The paddles keep liquids, powders, and water-soluble solutions mixed, in solution, and ready to spray. Also the pump features Viton® seals that can be easily changed within minutes without tools (up to 7x faster than the leading competitor). The premium shut-off offers a comfort grip, lockable trigger to prevent hand fatigue, and a removable in-line filter to reduce clogging. 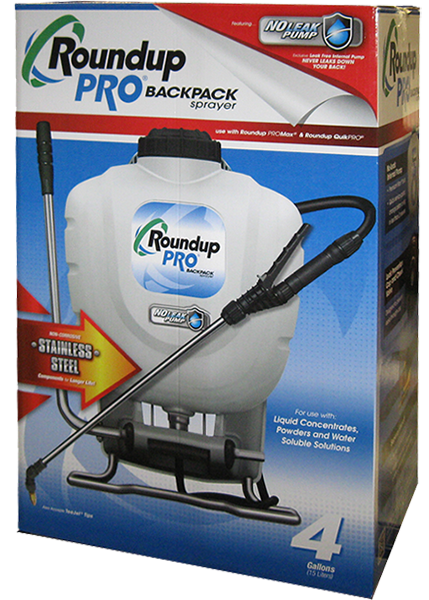 The Roundup® 190413 Backpack Sprayer is capable of spraying up to 150 PSI for those hard-to-reach areas. The included pressure regulator maintains a low, continuous 25 PSI (great for spraying herbicides and weed killers). The foldable pump handle reverses for left- or right-handed use, and the tank has a built-in carry handle with wand storage. Features a breathable, full coverage, padded ballistic nylon harness for all-day comfort. It includes an adjustable chest clip and lumbar support to keep the sprayer in place at a consistent level with no bouncing. Multiple nozzles are included for ultimate versatility: brass adjustable nozzle (enables stream to cone patterns), wide flat fan nozzle (red, 0.25 GPM, angled at 70°), narrow flat fan nozzle (yellow, 0.15 GPM, angled at 30°), and foaming nozzle. Also accepts TeeJet nozzles. Durable, 21 inch stainless steel wand with the highest quality Viton® seals for chemical resistance. 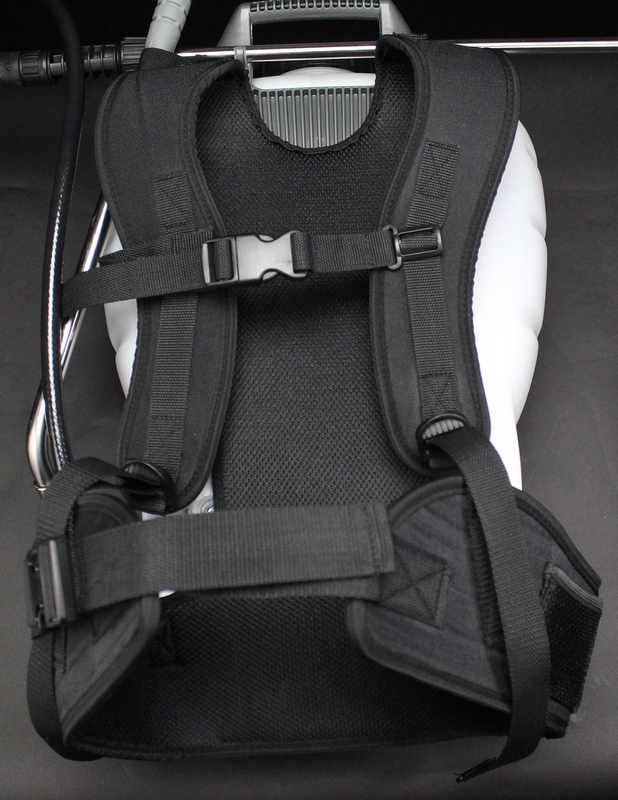 Features a deluxe, full coverage, padded harness for all-day comfort.